The Food and Drug Administration has ordered opioid painkiller and benzodiazepine manufacturers to provide patients with black box warnings on their labels regarding the risk of overdose. This is because the FDA has learned that patients who take opioid painkillers in combination with benzos, a class of anti-anxiety medications, may be vulnerable to overdose from the combination of these two drugs. The stronger warnings for opioids like Vicodin and Oxycontin and benzodiazepines like Xanax and Ativan are in response to increasing deaths of patients using both medications, whether by prescription or illicitly. Taking the two together leads to a variety of potentially fatal health complications. If your loved one has suffered an adverse health reaction or fatal combined drug overdose on these medications or others and was unaware of the potential for combined drug overdose, you should seek the help of a personal injury lawyer. Personal injury attorneys handle medical malpractice cases, such as those arising from combined drug injury and overdose deaths. A “black box” warning, as the FDA ordered more than 400 drugs to carry for combined drug overdose, is so named because it is literally a black box of information on prescription packaging. The FDA has reported that both opioids and benzodiazepines are depressants of the central nervous system (CNS). When these medications are taken together, they combine and amplify the effect on the CNS. The effect of the combined CNS depressants can cause a wide variety of potentially fatal symptoms, such as slow breathing, extreme sleepiness, coma or respiratory depression. Doctors have been prescribing opioids and benzodiazepines in combination more frequently in the past several years, leading the FDA to issue the warning about associated risks of combined drug overdose. The FDA has reported that between 2002 and 2014, U.S. patients taking both benzos and opioids increased by 41 percent. This is about 2.5 million patients nationwide at ongoing risk of combined drug overdose and death. The FDA relates skyrocketing deaths of patients who have experienced combined drug overdose back to patients’ misinformation and lack of awareness about the risk. Many assume that the drugs are safe for combined use, due to their doctors’ prescribing them in this manner. The federal agency’s Opioids Action Plan includes these warnings about combined drug overdose risk for opioids and benzodiazepines. The action plan is designed to reduce overdose death cases attributed to use of prescription painkillers. The number of deaths caused by opioid painkillers in the U.S. has increased to alarming rates. The Centers for Disease Control and Prevention has estimated that over 14,000 people died in the U.S. in 2014 from doctor-prescribed opioid painkillers. Opioid painkillers have been aggressively marketed to patients and doctors by the pharmaceutical industry. This marketing has played a strong role in the recent epidemic of opioid painkiller overdoses in America. Besides the thousands of people who are killed by opioid overdoses each year in the U.S., thousands more people suffer from ongoing abuse or addiction to these highly addictive prescription painkillers. Some doctors engage in poor prescribing practices, giving these medications to patients without following proper medical procedures. This has played a role in the epidemic of opioid abuse, just as pharmacists also fail to properly involve themselves in provision of the medications to the patients. When improperly prescribed, serious health issues and even fatal consequences can be the result. Thousands of people are hospitalized each year from these types of drug interactions that are preventable through proper procedure being followed by physicians, pharmacy staff or other medical personnel. Such failure to follow procedures is negligence on the part of these professionals. 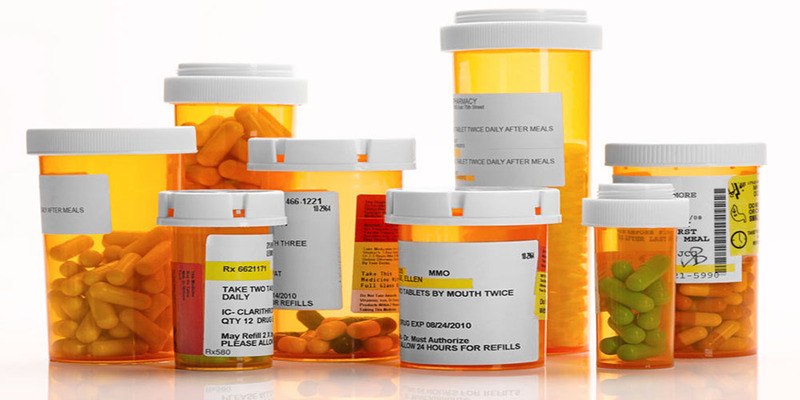 When you or a loved one are injured due to combined drug interaction or overdose from two or more prescribed medications, you may be able to file a legal claim against pharmaceutical companies, the prescribing doctor who provided the medication causing your injuries, or other parties. The first step in such a lawsuit is to speak with a law firm with experience in medical malpractice and personal injury cases like these. That law firm will be able to handle your claim from its beginning, through successful compensation as part of a settlement or judgment.